Reading the report of the meeting about Kingdom i found Cllr. Bithell’s utterences breathtaking as they seem to indicate he thinks we are all stupid. Oh. perlease Mr. Bithell spare us! Because you are trying desperately to defend your position on Kingdom you are really scraping the bottom of the barrel of arguments to do so. I will tell you something now, if you were to just put your hands up, just for once, and admit you COULD be wrong and just say, right, this is broke and needs fixing, what are we going to do? you would garner a lot more respect from everybody. I will not be holding my breath. (1) What has happened to democracy in Wrexham? 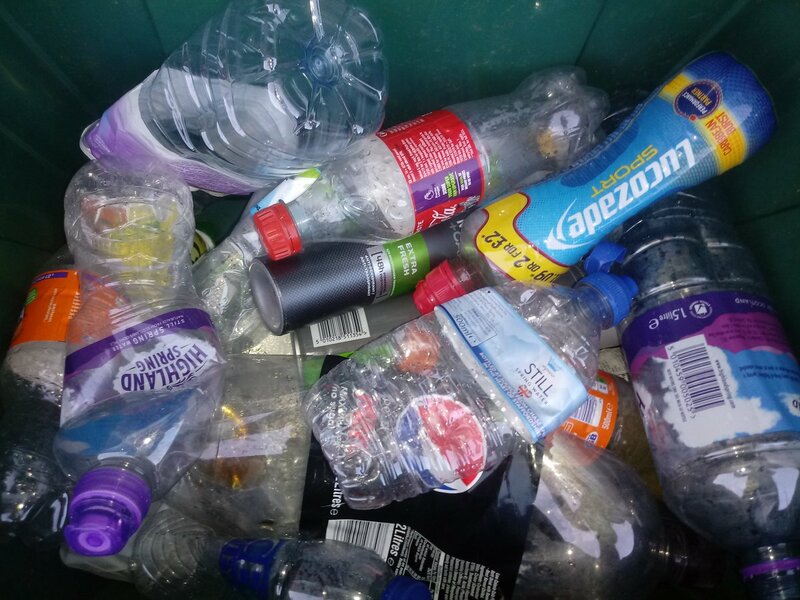 The problems around Kingdom and littering policy evidence the viewpoint that the council is over-influenced and managed by a cabal of unrepresentative councillors in an executive. The transparency of becoming an executive member is lacking, and it seems that the majority of elected members can do little to either challenge the executive’s policies. They are unable or unwilling to remove an executive member with whom they seriously disagree. The full council of elected members could change this undemocratic model of local government but so far not had the will to do so. (2) Since the beginning of public policing in the early 19th century the principle of policing in England and Wales was policing by consent of the public. Failing to keep to this traditional principle undermines policing as it will cause conflicts between it and the public; additionally, the police will not receive the public’s support. As we move towards ‘private policing’ it is worth bearing in mind our traditional policing principles. We could head toward a different policing model, such as on continental Europe, where policing is imposed on the public by the power of the state. However, if we wish to change policing by consent, I argue that more significant discussion and thought is needed than accepting the current dictates of Cllr Bithell. Two very excellent points here. 1) In regards to Council Democracy – I think the whole reason is a lack of understanding by the general public (and quite frankly other councillors) of how the independent set-up works in Wrexham. Nobody knows who they are getting from these independent groupings – are they even any different any more? Or are they just 1 super-independent majority grouping, which therefore makes them by very nature the opposite of being independent, they are very much attached and very much the establishment. We’re falling into a Democratic People’s Republic of Korea situation where the actual substance of the political make-up doesn’t do what it says on the tin. If we entertain the idea that they are in fact 2 separate independent groupings, neither of them stand on any manifestos (like the other political parties do) so the actual coherency and direction of decisions made has no marker stick (pre-election pledges) to actual measure their performance or actions by. Plus what role do the Tories have in the whole thing. We know about the open Tories in the exec make-up. However, if every single independent was forced to show their hand (no-one is asking them to) and reveal their actual political colours (whether supporting or voting) it would be interesting to see how many of them were actual Tories. We have some who are confirmed Tories, as they stood on a failed voter platform for them in the past and then gained success by adopting the kayfabe of an Independent. They will still very much be operating with a conservative mindset – in cahoots with the Tories. You’d have to rule out any of the independents being secret Labour as it would make more sense to club together with the rest of the actual Labour and attempt to secure a council majority. Likewise, Plaid and Green both wear their hearts on their sleeve and would only campaign transparently to further their brands. This leaves stealth Lib Dems (political wilderness) and UKIP (are they still even active?) or this is an amusing one, a councillor who is apolitical and doesn’t vote for any parties. The reality is, if someone turned round and revealed Wrexham was actually being ran by a Tory council there’d be outrage and an active campaign to oust them, but there’s a massive inertia and apathy about the entire local political scene, with people underwhelmed by the lacklustre local Labour representation – none of them actually seem to engage with the people locally, or have any strong outgoing views on either the Welsh or British political scene. But yes, the apparent overstrength of the combined 2 independent groupings means that they can get away with most unfavourable actions and can maintain the unfair nature of how the Executive Board works. The actual opposition to any plans is heavily relied on groundswell support from the general public who are forced to club together into action groups – e.g. North Wales against Kingdom, Save Plas Madoc, Groves Heritage etc… in order to get anything done. There is an overlap between individuals in the different groups, but once they have their goal achieved their passion and enthusiasm for other local issues and activism just dwindles. With this whole political impasse in place, unless we can get some kind of resurgence from any direction – the same faces are going to maintain control for years to come until they retire. 2) In terms of the policing issue private vs public – I think we can categorically say that policing for profit would be the very worst and most corrupt form of law enforcement that could ever happen. If policing becomes monetised either against number of arrests made or for reduction in crime numbers that would always be gamed in the interests of mining profits both by individuals and the establishment. You only need to look at the behavioural incentive driven economics of how Kingdom operate – their remit was originally to get the levels of dog fouling down as well as reduce overall litter and untidyness to the county. Now you look at what they are “enforcing” they’ve identified the single most easiest target and maximum revenue generating scheme – smokers dropping butts in the most populous areas of town. They are ignoring almost all other littering and dog fouling crimes and using the excuse that they have driven through other less busy parts of town as a tick-off that they are enforcing things in those areas. 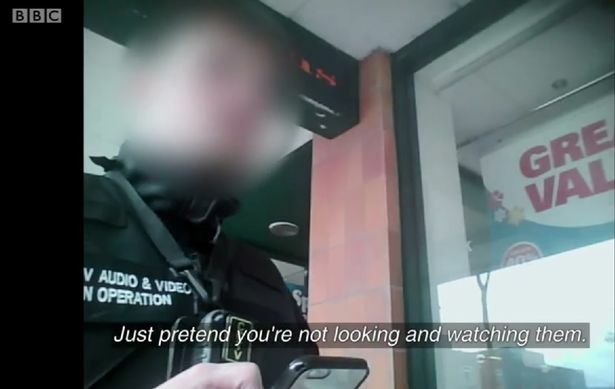 It’s a well known fact that they usually patrol all the main supermarket (where they’re not banned) and other car parks around town – there are spotters in place. Now that is not them carrying out their particular “policing” activities properly whatsoever. It’s the equivalent of a hypothetical private police force only making arrests for petty crimes committed on CCTV (say they were paid £250 per successful conviction) but ignoring more serious crimes that required gathering of witness and forensic evidence, such as murders and armed robberies then turning round as they were not generating enough profit then them saying Crime’s down in the town centre look at our arrest/conviction records – meanwhile it becomes like Mad Max out in the sticks. I think the police themselves reject the very nature and approach of Kingdom doing enforcement, seeing as they’ve effectively said that they won’t respond to Kingdom’s requests to assist them where an “offender” refuses to cooperate. This very statement out in the public domain – as said by council officials means that Kingdom’s actual enforcement powers have been declared null and void. If they cannot actually criminalise someone who refuses to cooperate when challenged but are then taking money out of people scared into paying up – especially with lies about the police actually coming, then they are committing extortion and are nothing worse than a gang. Bithell may as well have hired some Hell’s Angels to enforce town littering as the end effect would have been the same. My major concern now is that Kingdom are losing contracts in other areas in North Wales and if this is the case and Wrexham retains them under contract then more of the Kingdom Enforcement parasites who can no longer operate in other areas are going to descend onto Wrexham like locusts and increase “enforcement” activity and create more misery and deterrent to people wanting to come into the town centre. There are no bullyboys harassing shoppers at Broughton or Cheshire Oaks and parking is free in those 2 locations as well. Even if WCBC tweaks the contract rules with Kingdom, they are still going to seek ways to maximise profit (and commissions from the public) so the shift of harassment of those smoking will end up with them relentlessly pursuing a new target group – e.g. dog walkers. Can you imagine how unrelaxing that would be? Someone walking their dog, with a Kingdom thug waiting for the dog to do its business and then swooping the second it hits the floor before you get a chance to bag it. The very nature of that is no longer policing and enforcement and actually falls into the realms of harassment and stalking. We’re falling into the territory of pre-crime here – Minority Report style. And you know how this works again from already observed targeting from Kingdom those with Staffies, Alsatians, Dobermans etc.. there’ll be almost 0 fines but the number of fines against little old ladies with Yorkshire Terriers, Chihuahuas and other lap dogs will be through the roof. I could run through any littering and public nuisance scenario in the interests of profit and you’d see exactly how the situation could get skewed. It doesn’t work, this type of enforcement needs to be brought back in house into Wrexham Council and carried out not in the interest of profit generation, but in the interests of education of bad actions and the overall cleaning up of this county. Does anyone REALLY give a chuff? As long as the council make some money they should let kingdom do whatever they want. Who cares if they are scared to approach gangs who chuck their beer cans on the floor? Its not ZERO tolerance at all is it? Its selective targeting and every business is out to make a profit not act as a charity. Target the litter droppers and smokers and those who they can screw money out of i say! As mentioned briefly in the post by Matt, education is where it’s at with the littering/dog fouling problem. Aggressive policing, issuing 75 quid FPN’s is never going to fix the problem as an “officer” has to be around when the carton, bottle, chip wrapper etc, etc is discarded or the dog owner leaves it’s dog’s mess where it is deposited which is highly unlikely, at least in any meaningful numbers. A FPN handed to a dimp dropping smoker in Wrexham town centre is not going to stop the McDonalds fast food container from being lobbed out of a vehicle onto the roadside, neither is it going to stop the discarding of a plastic bottle by someone in one of the many areas in Wrexham that it’s just impossible to “police” and that applies to dog fouling too. Wanting to “fine” someone for littering, dog fouling et al is just a desire for revenge and does no real good in the wider context at all. If Kingdom were told to largely ignore ciggy butts and only concentrate on dog fouling, fly tipping and real littering i reckon they would kick the contract into touch post haste themselves as there would be no money in it due to the low numbers they would get. Education not fines is the key, imo. They are marching on the coast to get Kingdom removed ! It’s mad isn’t it? They are, to the people, about as welcome as a fart in a space suit but, does Bithell care? no, he doesn’t. All he does is, using spurious, dreamed up arguments defend the use of them, well he has to doesn’t he? He has been one of the main instigators of the regime Wrexham people find themselves living under now. It’s nasty, it’s unnecessary, it’s ineffective, it’s alienating and it’s wrong plus it’s taking money from the local economy and putting into Kingdom’s coffers, how stupid is that? It would appear we are led by donkeys and deaf and blind donkeys at that. What a complete and utter b*lls up the contract with Kingdom is! The whole thing is a mess, not fit for purpose and Kingdom not a fit organisation for the Wrexam people’s representatives to be mixed up with. We need shut of them asap. Does anyone know if Kingdom enforcers get DBS checked? It would be a bit concerning if not, if they were/are allowed to actively pursue those under 18 and other vulnerable members of society and gain access to confidential information, such as their vehicle registration or home address. Currently the state of play is that a child of any age that they suspect is guilty they are treated as an adult until they can prove they are a child (like a weird reverse proof of age for alcohol). Some individuals may only have a birth certificate at home to prove this, so it still permits Kingdom to effectively pursue children. I wonder how many parents feel comfortable with their kids going into town alone or with friends knowing that there are people out there who are not the police or another trustworthy source who could follow them home.